Jamila E. Taylor, a long-time community advocate and founding board member of Blackpast.org, graduated from University of Oregon School of Law with a Doctor of Jurisprudence and obtained her BA in Sociology from Virginia State University. 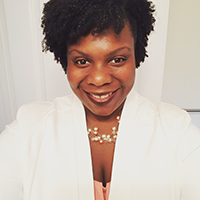 She is an energetic motivator with “an unrelenting focus on developing community capacity.” She is a staff attorney for Northwest Justice Project working with victims of crime to help resolve their civil legal needs. Prior to her work with NJP, Jamila owned a private law practice, NW Prosper Law, which focused on family law, small business and nonprofits. Jamila continues to provide consultation services to nonprofits in program and organizational development. She also worked for five years in the Seattle Youth Violence Prevention Initiative (“SYVPI”) as the Central Area Network Coordinator. She led a team tasked with coordinating community interventions and supports to 400+ young people in the Central Area experiencing family, peer or gang conflict; court involvement; school suspension or expulsion; homelessness or other risk factors. Outside of her professional endeavors, Jamila is a graduate of the Washington Leadership Institute and Leadership Tomorrow. Jamila is an active member of Seattle graduate chapter of Alpha Kappa Alpha Sorority, Inc.